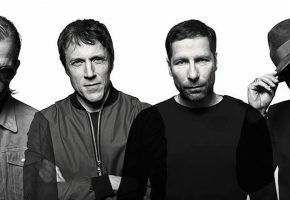 Ride have announced a load of festival dates in the last few weeks if you want to catch them over the summer. These dates are in addition to their already announced appearance at The Cure's 40th anniversary gig in Hyde Park and their Reading Sub 89 gig. See some of the line-up posters below. The full list of forthcoming Ride gigs can be found on the Live page.